The Israeli rightists assaulted and injured on Saturday evening a Palestinian youth from the occupied Jerusalem. According to Wadi Hilwa Information Center, eight Israeli extremists attacked Ismail al-Abassi,29, threw stones and empty bottles at him, leading to serious injuries in the head. The center indicated that the extremists assaulted the young man while driving his taxi in Jaffa main street in Jerusalem. Israeli warplanes launched a series of mock raids on Gaza Strip at noon Sunday and dropped a number of bombs off its coast. A field observer said that an Israeli F-16 warplane dropped the bombs off the coast of Gaza city and other areas causing big bangs that were heard all over the tiny enclave. A Palestinian security source said that the sound of explosions was the result of the Israeli mock raids, which are launched to terrorize the Strip’s inhabitants. Two Palestinians were injured after Israeli artillery hit the central Gaza Strip on Sunday, a Palestinian official said. Israeli forces hit an area east of al-Maghazi refugee camp with an artillery shelling, Gaza's Ministry of Health spokesman said. Ashraf al-Qidra said two Palestinians suffered from burns as a result of the shelling, and were taken to Shuhada al-Aqsa hospital in moderate condition. An Israeli army spokesman said he was not familiar with the incident. The shelling comes days after an upheaval of violence in the Strip made international headlines. On Tuesday, Israeli airstrikes killed a 3-year-old Palestinian girl and injured several others after a Palestinian sniper killed an Israeli Civil Defense employee working at the border. Between Wednesday and Sunday, two other Palestinians were injured in Israeli airstrikes. An Egyptian mediated ceasefire agreement was reached in November 2012 between Palestinian factions and Israel to end over a week of fighting which left over 170 Palestinians dead and thousands injured. Six Israelis were also killed during the fighting. 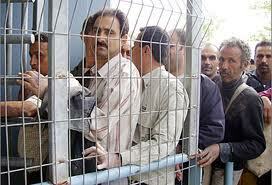 The Gaza Strip has been under a severe economic blockade imposed by the Israel since 2006. 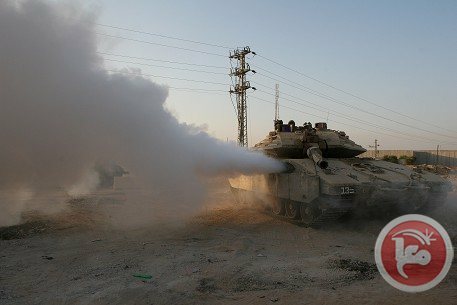 Two Palestinian young men were seriously injured on Sunday night after Israeli occupation forces fired a tank shell at them in central Gaza Strip. Palestinian security sources told the PIC reporter that the two men, in their twenties, were wounded to the east of Maghazi refugee camp near the Gaza borders with 1948 occupied Palestine. The two young men were transferred to a hospital in Deir Al-Balah in central Gaza but were later taken to Shifa hospital in Gaza in view of their critical condition. A rocket launched in Lebanon exploded in Israel Sunday morning. Meanwhile, the IDF confirmed it retaliated with heavy artillery fire towards the launch site in Lebanon. UNIFIL urged both sides to show restraint. says there were no injuries and no damage caused from Sunday's rocket fire. The IDF Spokesperson's Unit addressed the situation in the north of the country in a statement: "There were five launches identified from the source of the rockets and it appears there was one landing west of Kiryat Shmona. The IDF responded with a massive barrage of dozens of artillery shells towards the launch site." "Severe messages were sent through the UN force, UNIFIL," said the IDF Spokesperson's Unit statement.The UN peacekeeping force stationed in southern Lebanon, UNIFIL, have reached out to the Lebanese army and the IDF, to urge the two parties show restraint in the wake of the Katyusha attack, Lebanese media outlets claimed Sunday morning. Prime Minister Benjamin Netanyahu addressed the incident, saying: "We see the Lebanese government as responsible for attacks launched for within its border. "What is happening in Lebanon is that Hezbollah is placing thousands of missiles and rockets in apartments and is committing two war crimes at the same time. In the first it threatens to launch (the rockets) on civilians and in the second it hides behind the civilian population, it's a double war crime committed under the watch of the Lebanese government," added Netanyahu. Defense Minister Moshe Ya'alon commented on Sunday morning's rocket fire, and said "We will not tolerate fire from Lebanon, we will not allow anyone to disrupt the lives of Israeli citizens. We see Lebanon's government and Armed Forces as responsible for this mornings attack. "We will not return to business as usual. If needed, the IDF will respond with a force much stronger than our massive response this morning," the defense minister said. Hezbollah affilated media outlets said the rockets landed along the Lebanese-Israeli border, and LBC reported that the IDF responded by firing mortar rounds at the Lebanese border villages of Al-Marea and Rashaya al-Fakhar. Lebanese media outlets reported either one or two rocket failed to make it into Israel and landed in the southern town of Sarda, near the border with Israel and the Lebanese news website El Nashra said that Lebanese security forces were called to the scene. Lebanon's state National News Agency reported that area villages were "heavily hit by Israeli mortar fire." Israel claims it only fired three shells at Lebanon. Nissim Malka, the mayor of Kiryat Shmona, addressed the attack: "The hits were visible, causing a bit of panic from residents. I am in constant contact with the IDF. But we are operating as usual, we are not planning on opening up bomb shelters and the schools will continue working as normal." He added, "I will convene an emergency session and we will consider what steps to take according to the report received from the IDF." Earlier Sunday, 2 explosions were heard in the area of Kiryat Shmona. After investigating the possibility it was a rocket landing, the IDF confirmed that this was the case. There were no casualties, and the warning siren did not go off. Hezbollah tensions At the begining of December, Hassan al-Laqqis, a senior Hezbollah operative, was assassinated in Beirut’s Hadath suburb after unknown gunmen opened fire on him while he was entering his vehicle. Though no further details have been confirmed, Hezbollah and Iran pointed a blaming finger at Israel. Israeli foreign ministry spokesman Yigal Palmor denied any Israeli involvement in the killing of the head of Hezbollah's technology and communications unit. "Israel has nothing to do with this incident," Palmor said. "These automatic accusations are an innate reflex with Hezbollah. They don't need evidence, they don't need facts, they just blame anything on Israel." Hezbollah said that Israel "must assume full responsibility and all consequences of this despicable crime," in regards to the assassination of one of its commanders, Hassan al-Laqqis. ""The direct indictment is naturally directed against the Israeli enemy who tried to eliminate our martyred brother several times in several places, but the attempts failed until last night," the statement said. In the years since the 2006 Second Lebanon War there have been a number of incidents along the northern border. Only a few weeks ago, an IDF soldier was killed by a rouge Lebanese army sniper. . 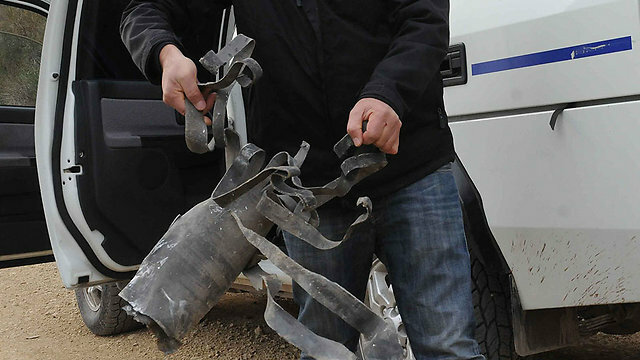 The last rocket incident took place four months ago: Sirens were sounded in the Western Galilee region after four Katyusha rockets were fired at Israel from the Tyre area in Lebanon. Two of the rockets landed in Israeli communities. In response, an Iron Dome battery was placed in the region. Lebanon’s Al-Manar satellite television says several artillery shells fired by the Israeli military have hit southern areas of the country. Several border areas in southern Lebanon including Kfar Shouba, Rashia and al-Marea were hit on Sunday, the channel stated. The shelling took place after the Tel Aviv regime claimed that two Katyusha rockets fired from Lebanon had landed in the town of Kyriat Shmona near the Lebanese border. No injuries or damage were reported. The Israeli military has confirmed that its tanks fired nearly two dozen shells into several border areas of Lebanon. UN peacekeepers in southern Lebanon said they were in contact with both sides to contain the situation. The area has remained mostly quiet since a month-long war in 2006 between the Israeli regime and the Lebanese resistance movement Hezbollah. Palestinian protester Mustafa Tamimi lies fatally injured after IDF troops fired a teargas canister at him in 2011. The Guardian - Having suffered a PR battering from viral video clips showing its soldiers in an unflattering light, the Israel Defence Forces are firing back with a combat camera unit trained to show their version of the story. The first round of graduates – all combat soldiers – have completed a seven-month training programme before joining frontline units. Private Ido H, one of the new "selfie squaddies", has trained for more than a year as a combat soldier and videographer. He can film, edit and broadcast from the battlefield. "My main mission is to film. I think the job of anyone recording what happens is much more important than any fighter," he told the Guardian. "There are lots of cameras on the other side. They show us apparently acting in an unfair way to civilians, to our enemies. We are here to explain and to document for the entire world that we don't use force for bad." In recent years, cameras wielded by human rights groups have focused unwelcome attention on the IDF. The Israeli human rights group B'Tselem has distributed cameras to Palestinians and collected hours of footage documenting life under occupation. Palestinians say cameras are sometimes the only effective weapon against an army equipped with tanks and fighter jets. Last April, Lt Col Shalom Eisner was suspended after he was filmed striking a Danish protester in the face with his M16 rifle. Video showing Mustafa Tamimi apparently dying after being hit by a teargas canister during a West Bank demonstration in December 2011 has helped sustain pressure for an inquiry. The IDF says videos can be tendentious. In July, human rights groups assailed the army over film of a five-year-old boy and his father being arrested and blindfolded after he threw stones at Israeli cars in Hebron. The army argued the editing failed to show its effort over a long time to return the boy safely to his family via the Palestinian police. Major Micha Ohana, the special unit's commander, denied his soldiers were being trained in disinformation. "If there are errors or other things we will present them and if necessary we will apologise or explain. But of course we won't blur, or lie or say they didn't happen," Ohana said. B'Tselem welcomed the new unit. "More documentation is a very positive thing," said a B'Tselem spokeswoman, Sarit Michaeli. "There are a lot of arguments about the facts of various incidents. The problem is that the army doesn't release this footage and when it does, it releases very heavily edited sequences." Haitham Katib, a Palestinian who has spent eight years filming protests against attempts to build Israel's security barrier through the middle of his village farmland in Bil'in, said cameras helped everyone. "I feel that my camera can stop some of the violence," said Haitham Katib. "If the soldiers see you filming, they stop their violence. Sometimes they broke my camera. They stopped me filming many times. They shoot me sometimes with rubber bullets. But 70% I believe my camera has stopped the violence." Katib said Israeli soldiers had started to film him while he was filming them. "It's like we're fighting with cameras," he said. "I would like everyone to use a camera. It means we are searching for the truth." Many Palestinian young men and anti-settlement activists suffered bullet and tear gas injuries during violent clashes on Friday afternoon with the Israeli occupation forces in different West Bank areas. Three Palestinian young men suffered live bullet injuries and many others suffered tear gas suffocation during the confrontations that took place at the western entrance to Silwad town, east of Ramallah city. Eyewitnesses told the Palestinian information center (PIC) reporter that the IOF used silenced firearms during the events, affirming that all the wounded young men, including a 16-year-old kid Ramzi Hamed, were rushed to Ramallah hospital. Manal Al-Tamimi, a female anti-settlement activist, and two journalists working for French and Turkish news agencies also suffered serious bullet injuries in their legs when the IOF violently attacked a peaceful march protesting Israel's settlement activities in Nabi Saleh village to the north of Ramallah. Eyewitnesses said that Tamimi was shot at point-blank range, which caused her to suffer a leg fracture. In Bil'in village, some foreign and Palestinian activists in addition to a journalists suffered bullet and tear gas injuries during their participation in the weekly anti-wall march held after Friday prayers. The IOF also clashed with dozens of angry Palestinian young men outside Ofer jail, south of Ramallah, and used excessive force to disperse them. In Budrus village to the west of Ramallah, the IOF attacked Palestinian homes with tear gas grenades following clashes with young men near the segregation wall there. Similar clashes erupted in Eizariya town, east of occupied Jerusalem, between Israeli soldiers and Palestinian young men protesting the segregation wall. Palestinian medical sources have reported that seven Palestinians suffered the effects of tear gas inhalation after Israeli soldiers fired gas bombs at Palestinian homes in Jabalia, in the northern part of the Gaza Strip. The sources said that seven residents were moved to the Kamal Adwan Hospital in Beit Lahia, nearby, after the soldiers targeted their homes in the Ezbet Abed-Rabbo area, east of the city. 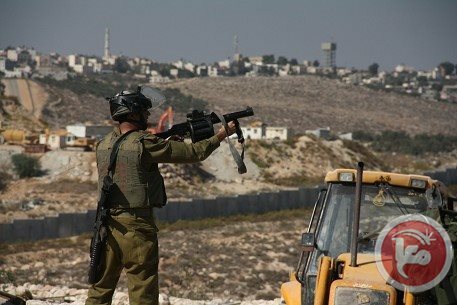 Eyewitnesses said that Israeli soldiers, stationed in military towns across the border fence, repeatedly fired rounds of live ammunition, gas bombs and, sometimes, even shells at Palestinian farmers on their own lands, in the northern and eastern parts of the town, and at nearby local homes. Israeli occupation forces (IOF) fired teargas canisters at northern Gaza Strip on Friday night causing suffocation among residents. Dr. Ashraf Al-Qudra, the health ministry spokesman, said in a statement on his Facebook page that the soldiers targeted Ezbet Abed Rabbo to the east of Jabalia. He said that a number of residents were taken to hospital after they suffered breathing difficulty from the teargas inhalation. 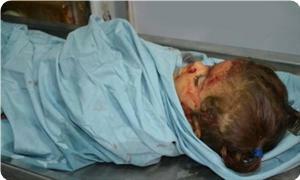 Israeli raids and shelling on Gaza over the past three days killed a baby girl and wounded around ten others. Dozens of Israeli soldiers invaded Saff Street, in the center of the West Bank city of Bethlehem, breaking into and searching several homes, and kidnapping four Palestinians. Radio Bethlehem 2000 has reported that more than 15 Israeli military vehicles invaded the area, firing rounds of live ammunition, concussion grenades and gas bombs, and broke into the home of resident Nidal Souman, a political leader of the Islamic Jihad. It added that soldiers kidnapped Omar Sami Al-Hreimy, 45, his son Sami, 20, Abdul-Salam Sumaan, 45, and his son Nidal. Clashes took place between the invading soldiers and local youth, who threw stones and empty bottles at them, while the army fired gas bombs and concussion grenades before withdrawing from the city. 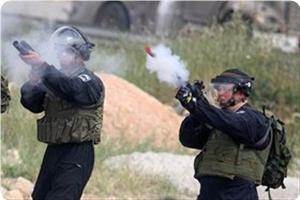 Medical sources said that several Palestinians suffered the effects of tear gas inhalation and received treatment by local medics. On Thursday, soldiers also invaded Bethlehem and kidnapped six Palestinians, after violently breaking into their homes and searching them. In related news, the Census Department of the Palestinian Ministry of Detainees published a report revealing that Israeli soldiers kidnapped 3,874 Palestinians in 2013, including hundreds of children. The ministry said that among the kidnapped were 1975 men, ages 18-30, and 931 children. Palestinian medical sources have reported that several residents have been wounded during clashes with Israeli soldiers invading the towns of Al-Ezariyya, Abu Dis, Anata and Ar-Ram, in occupied Jerusalem. Soldiers also kidnapped three children in Jerusalem’s Old City. The Palestinian News & Info Agency (WAFA) has reported that dozens of soldiers invaded the Qabsa area, in Al-Ezariyya town, and clashed with local youths who threw stones at them. Several residents suffered the effects of tear gas inhalation and received treatment by local medics. Qabsa junction witnesses weekly protests against the annexation wall which separated the residents from their mother city, occupied Jerusalem, and their lands. Furthermore, clashes took place at the northern entrance of Anata town, after the soldiers tried to invade it. The army fired rubber-coated metal bullets, gas bombs and concussion grenades, leading to several injuries. Several residents were also wounded, mainly due to effects of tear gas inhalation, at the main entrance of Al-Ram town; all were moved to local clinics. 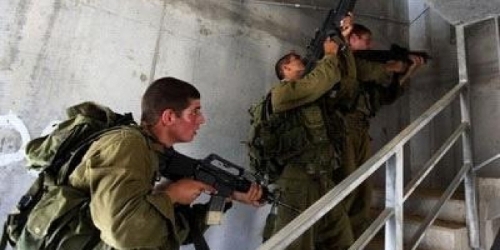 Also on Friday evening, soldiers kidnapped three Palestinian children in the Old City of occupied East Jerusalem. Resident Safa’ Noureen told WAFA that the soldiers kidnapped her brother, Sa’id, in addition to Mohammad Abu Sbeih and Husam Ghneim. She added that the army took the kidnapped Palestinians to Al-Qashla Police Station, near the Hebron Gate. Palestinian medical sources have reported that three Palestinian workers have been injured near the annexation wall, in the Ramadeen village, south of the southern West bank city of Hebron. The sources said that the workers were returning from work in Beersheba (Be’er As-Sabe’), when they were chased and assaulted by the soldiers. The three have been identified as Shady Ahmad Al-Ajarma, 21, Idrees Yousef At-Torshan, 22, and Mohammad Ishak Khrekis, 22. They were moved to the Hebron Governmental Hospital after suffering fractures and bruises to various parts of their bodies. Mohammad Al-Arawna, head of the Media Department of the Palestinian Workers Syndicate, denounced the attack, saying that the union lodged a complaint with the International Workers Association, asking it to intervene, investigate the ongoing Israeli violations against the workers, and to hold Israel accountable to its crimes. 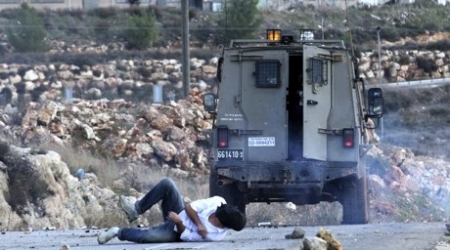 Al-Atawna said that the army, especially on roadblocks, frequently attacks Palestinian workers. In related news, a number of settlers from the Havat Gal illegal settlement outpost, east of Hebron, attacked on Friday evening Palestinian orchard, cut and uprooted dozens of olive trees. The 10-Dunam (2.47 Acres) orchard is located in Jabal Jales area, close to the illegal settlement outpost, and has been repeatedly attacked by the settlers in an attempt to expand their outpost. shot. BETHLEHEM (Ma'an) -- Activists from Nabi Saleh have released a video showing an Israeli soldier shooting a Palestinian woman in the leg at close range following clashes on Friday afternoon. A photographer was injured and dozens suffered from excessive tear gas inhalation as Israeli forces dispersed a demonstration in Bilin near Ramallah. Israeli forces fired rubber-coated steel bullets, tear gas and stun grenades at demonstrators as they neared their lands close to the wall. Photographer Mohammad Yassin, 20, was hit with a rubber coated steel bullet during the protests. The demonstration was held in celebration of Christmas and the release of Samer Issawi, and in protest of Israeli settlement activity and the separation wall. Participants, some of whom wore Santa Claus costumes, raised Palestinian flags and chanted songs for unity and resistance. Since 2005, Bilin villagers have protested on a weekly basis against the Israeli separation wall that runs through their village on land confiscated from local farmers. Previous protests by Bilin activists have forced the Israeli authorities to re-route the wall, but large chunks of the village lands remain inaccessible to residents because of the route. Four Palestinians were injured when Israeli forces opened fire with live bullets during clashes in Silwad village north of Ramallah. Israeli forces raided the village and fired live ammunition, rubber-coated steel bullets, and tear gas, while Palestinian youths threw rocks and empty bottles at them. 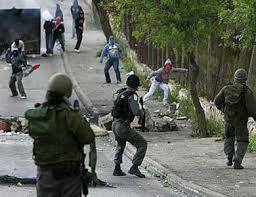 Israeli forces chased down Palestinians through the alleys of the village, injuring four of them during the process. The injured were taken to Palestine medical complex in Ramallah. An Israeli spokeswoman did not immediately return calls seeking comment. Silwad is located directly north of the Israeli settlement of Ofra, on a major West Bank road under Israeli military control. Palestinian premier Ismail Haneyya called on the Arab countries and the international community to assume their moral responsibilities towards the Gaza Strip and protect its population against Israel's blockade and aggression. Premier Haneyya made his remarks during a visit on Thursday evening to the family of the three-year-old girl Hala Abu Sabikha in Al-Maghazi refugee camp in central Gaza. The premier offered his condolences to the bereaved family and saw the destruction that had happened to their house and other property in the bombed area. The premier also listened to the residents' complaints and hailed their steadfastness in the face of the Israeli aggression. Israel had launched last Tuesday several aerial attacks on populated areas in Gaza, which claimed the life of Hala and caused different injuries to many others. In earlier incidents, Israel had escalated its provocative attacks in recent weeks against Gaza with no reason, killing two Palestinian civilians, attacking fishermen and their boats off the coast of Gaza and carrying out small-scale incursions. Israeli Occupation Forces seized a house on Friday, in the village of Yabud, southwest of Jenin, and converted it to a military barracks. 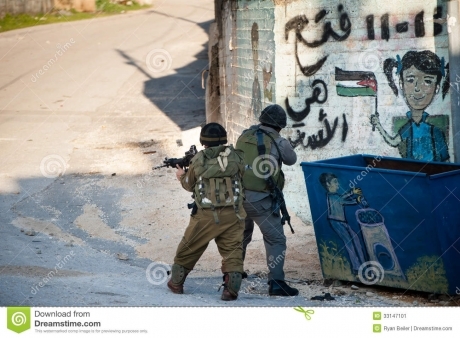 IOF soldiers raided the village from its southern entrance and set two military checkpoints. the IOF soldiers stopped vehicles, searched them and checked the passengers IDs. 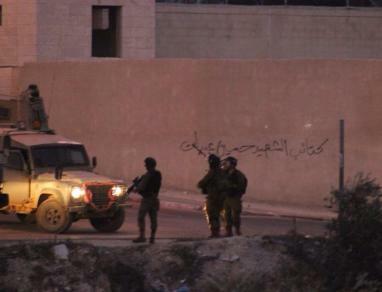 Thursday night, Israeli forces closed the main entrance of Yabud and detained several Palestinians. 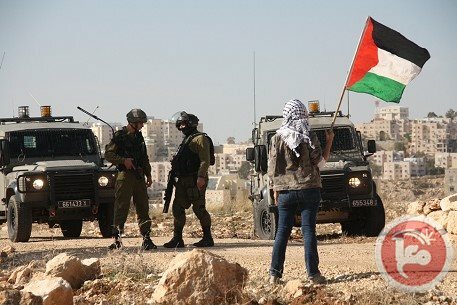 In the same context, Israeli forces raided Thursday, the village of Beit Qad, east of Jenin, handed a Palestinian youth a notice to meet with the Israeli Intelligence Agency at Salem military camp. Local sources said that Israeli forces raided the house of Diaa Ahmed Reba'I, 22, and handed his parents a notice for their son to meet with the Israeli Intelligence. Israeli civilians terrorize the village of Burin and, as usual, are aided by the strongest army in the Middle East. 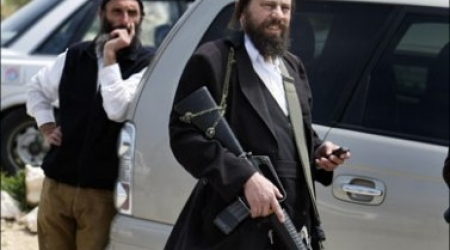 To paraphrase Tolstoy, every village in the West Bank is miserable in its own way. The curse of Burin, in the Nablus region, is of its neighbors -- two particularly troublesome settlements, Har Bracha and Yitzhar. Attacks by Israeli civilians coming from these settlements, against the residents of Burin, is almost a daily occurrence; in one recent week, no less than four such attacks were documented. The problem with these attacks has less to do with the Israeli civilians, and more to do with the fact that they are generally accompanied by Israeli soldiers who protect them, even when they carry out pogroms. There’s a standard procedure for these attacks: the Israeli civilians descend on the village in order to attack it, sometimes targeting the school or some of the outlying, isolated buildings; the villagers organize themselves for self-defense and throw stones at the invaders -- and, then, the strongest army in the Middle East rushes in and fires tear gas canisters, stun grenades and, from time to time, rubber bullets, or even live bullets, at the villagers. All of this happens not when the Palestinian residents attack or raid a settlement, but as they are trying to defend themselves and their homes. Israeli military aid to the marauders does not end here. Last November, a pogrom broke out according to the outline above. A large group of Israeli civilians came down from one of the hilltop outposts near the village. The residents of Burin, who already know this routine by route, went out to push them off their property. Shortly afterwards, Israeli troops arrived on the scene and, instead of evacuating the invaders and defending the residents, they outdid themselves. 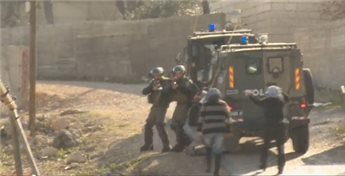 This time, they did not limit themselves to shooting tear gas canisters and throwing stun grenades at the Palestinians trying to defend their village; they threw stun grenades into the house of a child, H, age 14, and threatened his mother, M., that if she doesn’t open the door, they’ll keep throwing them into the house. In case you are fortunate enough to have never experienced a stun grenade explosion, I can say that this is an unpleasant experience, to say the least. Usually, the army uses them against demonstrators in open spaces; their effects there – a strong explosion which deafens and blinds – are limited. However, this weapon was originally intended to be used in a confined space, in order to neutralize armed targets within a structure. In a confined space, where the shock waves are much stronger, this is an actual weapon, capable of causing actual damage. This is what Israeli troops fired into a civilian house which seemingly posed no danger to them. Following the threat, M. opened the door and the soldiers stormed in. They found her son, H, who was on the roof during the incident, and demanded that he stay where he was and not move. They kept him on the roof, for an hour, and demanded that he identify stone-throwers from among the villagers, below. Then came the procedure everyone who has ever served in the occupied territories knows: the hands of H – a reminder: he’s a 14 year-old child – were handcuffed with tight, rigid plastic cuffs behind his back; his eyes were blindfolded with gun-cleaning cloth. Were the soldiers in any danger from him? Was he taken to a particularly secret military facility, where scientists whose very existence is denied are developing the weapons of tomorrow? No, he was taken to the police point in Hawara, a place known to all. So why the blindfold? Because the oh-so-strong army, who recently went on a viral campaign telling everyone how strong it is (stronger than coffee!) had to prove itself stronger even than a bound child of 14, and that it can humiliate and terrorize him. During the ride, according to H, he was beaten by the soldiers. When the jeep he was driven in stopped, he was pushed out to the ground – a bound and blindfolded child, yes? – while the soldiers laughed. Then, they gave him water. H was brought before a police interrogator, who demanded that he identify stone-throwers. When H said he was incapable of doing so, since they were hooded, the policeman slapped him. He was taken out of the interrogation room and told to sit on the pavement, where the soldiers abused him some more. Then, he was put into the jeep, again, and driven to the Burin Junction. There, the soldiers took him out of the vehicle, allowed him to call his father to tell him to pick him up, and drove off. This is how seriously the Israeli military takes the protection of minors held in its legal custody: by abandoning them on a road. So, in sum: we’ve seen a break-in to a house by threat, the arrest of a minor without an adult present (which Israeli law is very strict about), the abuse of a helpless minor, an attempt to turn a minor into a police informant against his will, and the abandoning of a minor on the road. All of the above is the result of a collaboration between the Israeli army and Jewish hooligans: the army kidnapped a minor from his house in order to extract information from him, through abuse and violence, which will allow the framing of people who were trying to defend themselves. Needless to say, the contradictory scenario – the kidnapping of a Jewish child from his home, in order to blackmail him into incriminating others, all through the use of violence and throwing stun grenades at his house – is unthinkable. And, that’s a good thing. But, what can we say about this gap in rights? If the army were to invest less aggressiveness against 14-year-old Palestinian children, and more effort in preventing pogroms by government-funded Israeli civilians, perhaps it could say of itself that it’s not only strong, but also moral. So far, this has yet to happen. And, as long as you prefer not to know what is done in your name, and with your taxes, this is unlikely to change. Just as the army is ultimately responsible for the rampages of the settlers, those who fund the army and can manage it are responsible for its outbursts. Israeli Prime Minister Benjamin Netanyahu has threatened more assaults on the Gaza Strip, as the Tel Aviv regime intensifies its military operations against the besieged Palestinian territory. 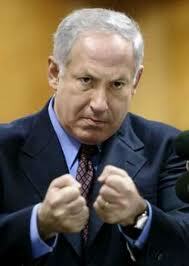 Netanyahu made the remarks after Israeli warplanes launched several strikes on Gaza City, wounding three Palestinians. Tel Aviv claimed the raids were in response to a rocket attack from the Gaza Strip. Earlier this week, Israeli warplanes bombarded the coastal enclave, killing at least two Palestinians, including a three-year-old girl, and injuring several others. Another Palestinian was also wounded by Israeli troops in southern Gaza last week. The Israeli military frequently targets Palestinians along the border with Gaza, which has remained literally cut off from the outside world by a crippling Israeli blockade since 2007. The siege has turned the densely-populated coastal sliver, home to some 1.7 million Palestinians, into the largest open-air prison in the world. In November 2012, the Israeli regime launched an eight-day war on Gaza. Over 160 Palestinians were killed and some 1,200 others were injured in the Israeli offensive. [Thursday December 26, 2013] Palestinian medical sources have reported that two Palestinians have been injured after the Israeli Air Force carried out several air strikes targeting different parts of the coastal region. 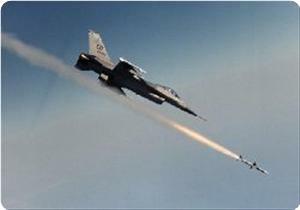 The Palestinian News & Info Agency (WAFA) has reported that Israeli F-16 jets fired missiles into several areas in Gaza city, mainly Sheikh Radwan, Al-Hawouz, and other areas, north of the Gaza Strip, in addition to firing missiles into lands, south of the city. Furthermore, the Air Force fired missiles into a vacant land, east of the Ash-Shujaeyya, close to the location where a Palestinian gunman shot and killed an Israeli military engineer a few days ago. In addition, an Israeli Apache helicopter fired missiles in an area, north of Beit Hanoun, in the northern part of the Gaza Strip. 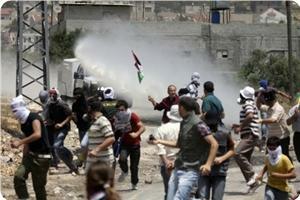 Medical sources said that two Palestinians were hospitalized after suffering moderate injuries. Israeli Army Spokesperson, Avichay Adraee, said that the attacks also took place in response to shells fired from Gaza into an area in the Ashkelon shore area, south of the country, causing no damages or injuries. He stated that Hamas is responsible for the escalation and any further escalation, as “it controls Gaza”, and added that Israel will retaliate harshly. Israel's Air Force hit the Gaza Strip with missiles late Thursday, injuring two Palestinians and causing damage, the official Palestinian Authority news agency Wafa reported. 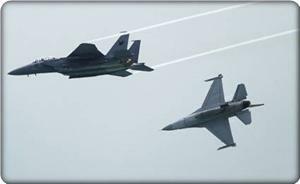 F-16 warplanes bombed "several sites" in Gaza City, specifically in the Sheikh Radwan neighborhood, in addition to striking Beit Lahiya in the northern Gaza Strip. Medical sources said two Palestinians were taken to Shifa Hospital in Gaza City and treated for shrapnel injuries. Earlier Thursday, Palestinians in Gaza fired a projectile that hit an uninhabited area in southern Israel. A military spokeswoman told AFP it caused no damage or injuries. On Thursday night a second projectile fired from Gaza "landed in open ground causing no damage," a military spokesman said. Defense Minister Moshe Yaalon said Israel would not accept the "trickle of terror from the Gaza Strip, where Hamas is sovereign,"
The Israeli army said that in response to the two rockets launched Thursday, its aircraft "targeted terror infrastructure in the Gaza Strip." "A weapons-manufacturing facility was targeted in the central Gaza Strip, and a weapons storage facility was targeted in the northern Gaza Strip. Direct hits were confirmed," a statement said. On Tuesday, Israel launched airstrikes across the Gaza Strip, killing a 3-year-old girl and injuring her mother and brother, after an Israeli Civil Defense worker was shot dead by a Palestinian sniper at the border in the northern Gaza Strip. The week before the sniper attack, Israeli forces shot dead a Palestinian scavenging for metal and plastic scraps near the border, and wounded at least four Gazans in attacks across the Gaza Strip. A military spokeswoman said the man who was killed was "attempting to lay an explosive device." Israeli forces frequently shoot at farmers and other civilians inside the Gaza Strip if they approach large swathes of land near the border that the Israeli military has deemed off-limits to Palestinians. The "security buffer zone" extends between 500 meters and 1500 meters into the Strip, effectively turning local farms into no-go zones. Two Gaza people have been injured in two separate Israeli bombings on Thursday evening. Israeli fighter jets raided on farming land in Gaza's al-Nafaq district, where hundreds of homes just cleared from the floods of Alexa storm, leaving one injured. They also bombed a military training zone that belong to al-Qassam Brigades in central Gaza Strip near Netsarim area, a freed Israeli colony. One civilian was reported injured. Ashraf al-Qidra, Spokesman of Ministery of Health, said one moderate injury case has been admitted to al-Shifa Hospital. Israeli occupation military launched two days earlier on Tuesday 12 air raids and shells on the Gaza Strip, killing Hala al-Buhairi, a three-year-old girl from al-Maghazi refugee camp in central Gaza Strip, and injuring 14 others. This evening escalation comes on the eve of the fifth anniversary of Israel's Operation Cast Lead, which lasted for 22 days from December 27, 2008 to January 17, 2009. The Israeli onslaught claimed the lives of more than 1400 Palestinians and injured thousands.